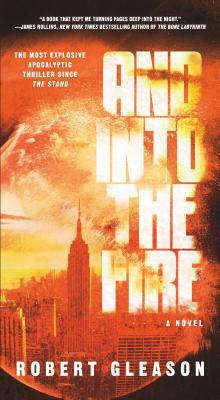 With an undeniable authority on the subject of all things nuclear, Robert Gleason brings readers' worst fears surrounding nuclear terrorism to life in this character-driven, page-turning thriller, "And Into the Fire." After allying itself with Pakistan's intelligence services and notorious terrorist group, the Tehrik-e-Taliban-Pakistan (TTP), ISIS is ready to achieve its ultimate dream: Forcing the US into a clash of civilizations in the Mideast. The best way to accomplish this mission is to acquire three Pakistani nukes―then set them off in three US cities. The head of the CIA's Pakistan desk, Elena Moreno, and an intrepid journalist, Jules Meredith, are on their trail. Unfortunately, a powerful Saudi ambassador is blackmailing a corrupt American president, and now both men will do anything to stop these two women―to the point of having them killed. All the while, a notorious Pakistani terrorist, who twenty years ago was Elena's college lover, is leading a highly skilled, highly trained terrorist team into the US. They are armed with three Hiroshima-style nukes and are hell-bent on incinerating the three American cities.